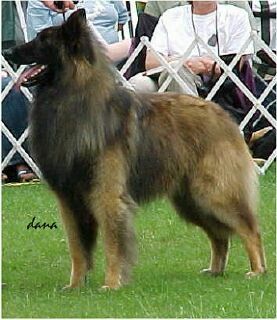 The Belgian Tervuren is a kind of Belgian Sheepdog. 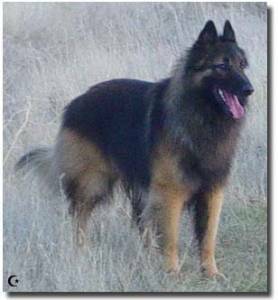 They were first recognized as their own district breed by the AKC in 1959. 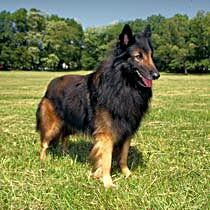 The Belgian Tervuren is a medium-to-large dog that weighs 44 to 60 pounds. 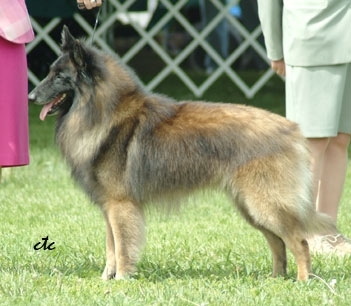 It features a dense undercoat with long, straight, mahogany outer coat. The ears and mask are black. Tervurens are highly energetic, loyal to their family, and cautious around strangers. Owners should be prepared to give them a lot of attention and exercise. 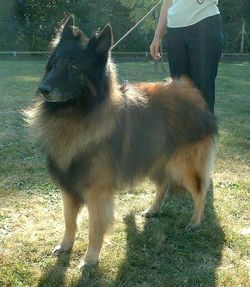 Too little activity can easily make a Tervuren antsy and destructive. 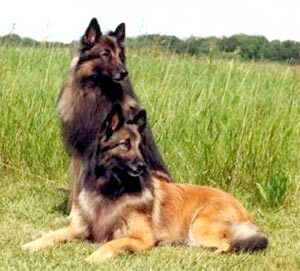 They are attentive, intelligent, and trainable, and are frequently used as guard dogs and military dogs. 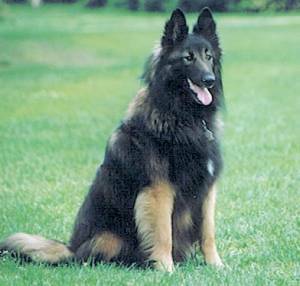 As with all Belgian Sheepdogs, Belgian Tervurens should be thoroughly socialized to protect against possible aggression. 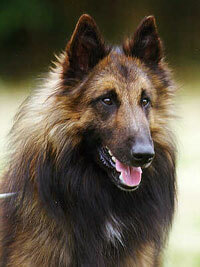 One of the most famous paintings by turn-of-the-century dog portrait artist Alexandre Clarys was a Belgian Tervuren. 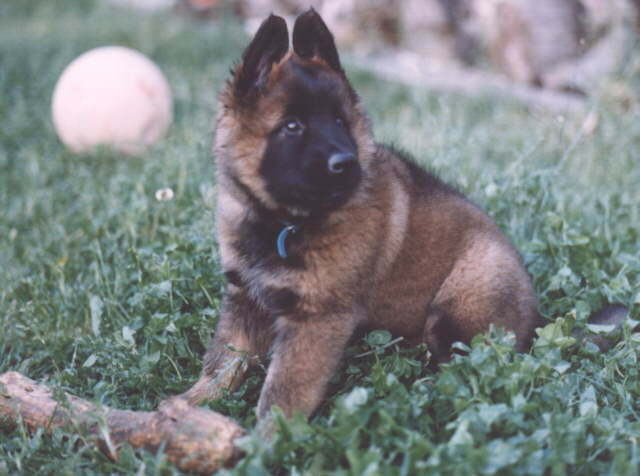 The dog’s name was Duc, and the painting helped popularized the breed. 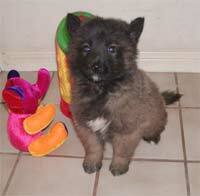 Search our database for Belgian Tervuren puppies and Belgian Tervuren breeders! 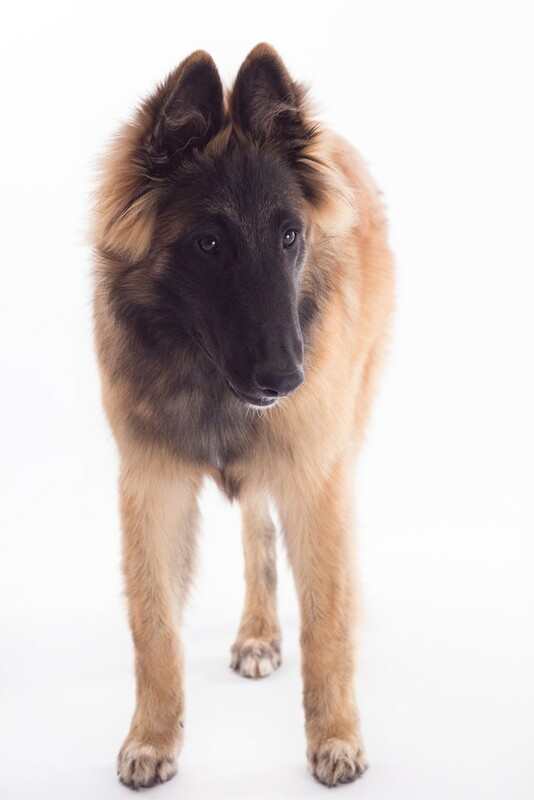 Interested in learning more about Belgian Tervurens?CLICK HERE!